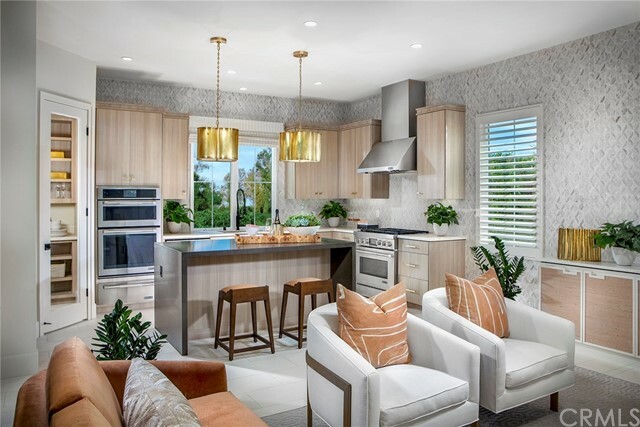 Brand new construction by Irvine Pacific located in the newly-opened gated Barcelona neighborhood in Los Olivos Village, providing close access and convenience to Irvine Spectrum. 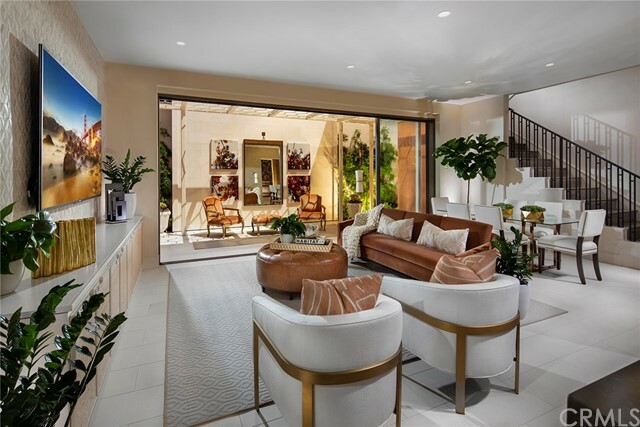 Experience the best in California-style living with the California Great Room, a unique, integrated space where panoramic floor-to-ceiling sliding glass doors seamlessly blend indoor elegance with outdoor splendor. This included feature creates a connected space at the heart of the home to gather, entertain and relax. This 2,466 Sq Ft Plan 2 detached home features Italianate architecture, with 4 Bedrooms (including 1 Bedroom on first floor), 2.5 Bathrooms, and a direct-access 2 car attached garage. The Gourmet Kitchen features a walk-in pantry, granite counters, built-in Stainless Steel KitchenAid appliances complete with microwave, dishwasher, 5 burner stovetop, and oven. Home is in walking distance to Barcelona's private resort style pool. The home is located within the celebrated University High School boundary area. Must visit in person to truly appreciate the spectacular views and serenity offered by the unique village.